Codeine is a powerful narcotic prescription medication that is used by doctors and physicians for pain relief. As mentioned above, codeine is a narcotic which makes it a highly potent drug that can be possibly addictive if not taken as per the instructions of the doctor. This drug when taken gives the user overall sense of calm and euphoria. The main reason behind codeine addiction is that codeine when used enters the brain and then it releases the neurotransmitters that are responsible for activating the reward center of the brain. When these neurotransmitters are stimulated they leave the patient with strong feelings of pleasure and well being. This pleasure is what makes this drug extremely addictive because long term and improper use of codeine can lead to physical as well as psychological dependence. However, if a person takes this drug for legitimate reasons and strictly as told by the doctor then chances of addiction are really low. But long term use can build up strong tolerance level for the drug and then a person needs to take high doses of codeine in order to feel the effects as before. 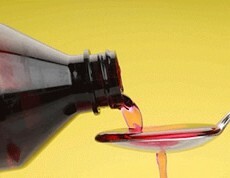 Codeine addiction is a serious health concern and needs proper medical intervention and treatment. The best way to recover from a codeine addiction is to get into a codeine addiction rehab and treatment program. These rehab programs not just treat the physical aspects of the problem but also delve deep into the psychological reasons that pushed the person into the dark world of addiction. These programs are available in two categories- inpatient or outpatient rehab. If you or a loved one needs to find a drug rehab center then our rehab helpline number is always available for you. Call us today and our expert adviser will help you find the best rehab center near your area.